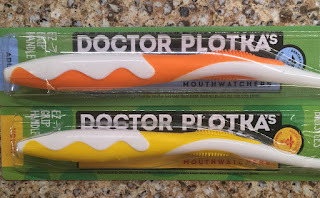 Switch up your Health Care with a Toothbrush by Mouth Watchers! As a blogger, I get many email requests to sample new products. 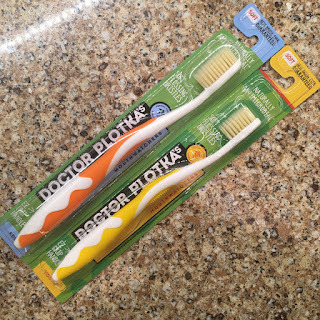 Many times I politely decline, but something interested me about the Doctor Plotka Antimicrobial toothbrush with flossing bristles by Mouth Watchers. 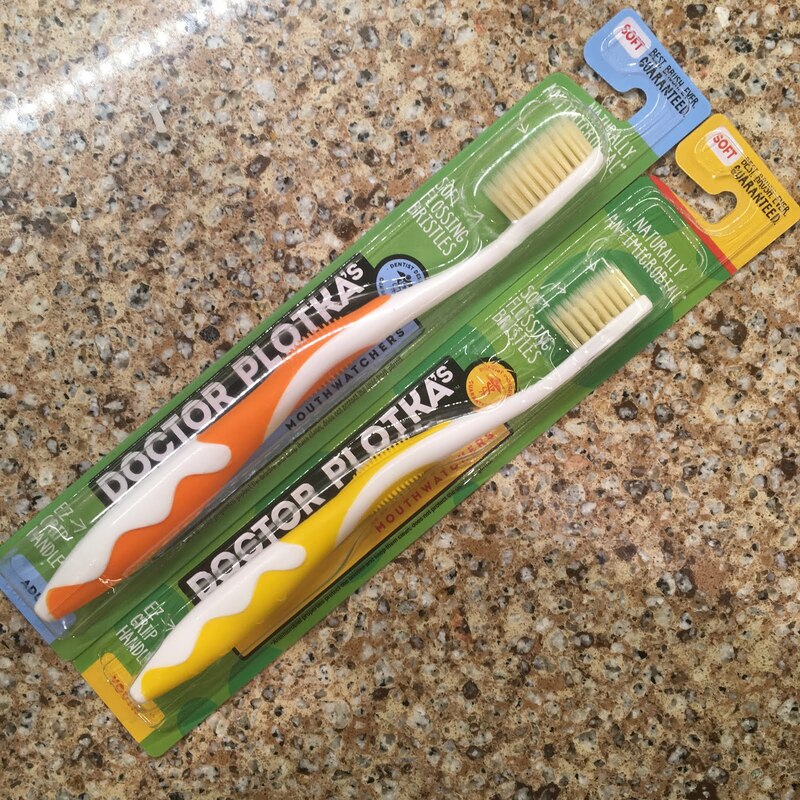 Why is this toothbrush different? First, it was invited by a dentist! Second, infused with silver to naturally eliminate 99.9% of bacteria that grows on the bristles between uses, this innovative tool is always clean and ready for the next use. Third, the flossing bristles clean better and last longer. So, who better to test the toothbrush? My son, unlike most kids, is obsessed with healthy teeth! His first thought was that he liked the grip of the brush (which comes in both adult and youth sizes). Then, he commented the bristles were softer than his normal toothbrush. As a mom, it's comforting to know that the Antimicrobial Technology infused into the bristles eliminating bacteria growth. And, the unique dual flossing bristle system that reaches down into to hard to reach areas, where cavities form, and sweeps out cavity and gingivitis forming debris. 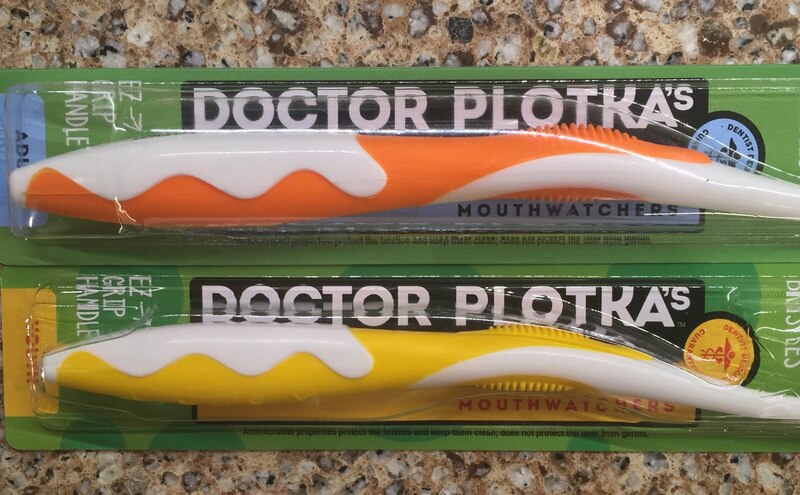 So next time you are at Whole Foods (or one of these retailers), make sure you check out the Doctor Plotka Mouth Watchers toothbrush. You can also purchase directly from the Mouth Watchers website. Your teeth will thank you!